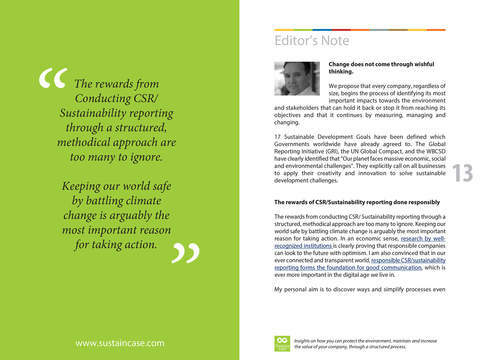 Diamond and precious metal supply chains can be long, complex and often lacking in transparency. As a result, most people – including many jewelry retailers – traditionally knew little about who mined their jewelry materials and how. 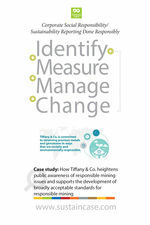 Together with jewelry industry associations and concerned nongovernmental organizations, Tiffany & Co. strives to lead the jewelry industry in responsible mining. 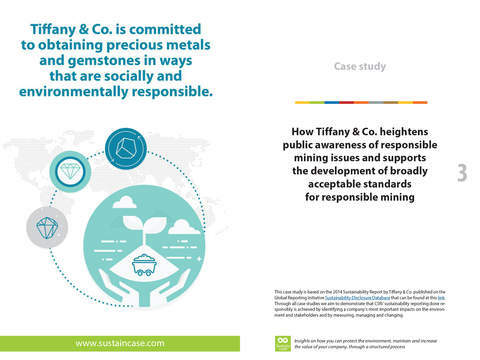 Tiffany & Co. is committed to obtaining precious metals and gemstones in ways that are socially and environmentally responsible and, as a long-time leader in the jewelry industry, works to advance rigorous responsible mining standards. 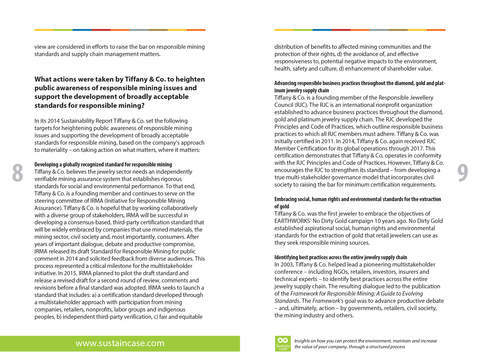 After measuring and setting targets, Tiffany & Co. took action to develop a globally recognized standard for responsible mining, advance responsible business practices throughout the diamond, gold and platinum jewelry supply chain, embrace social, human rights and environmental standards for the extraction of gold, identify best practices across the entire jewelry supply chain and, also, support the development of standards for the responsible mining of precious metals and gemstones at the artisanal level.